Republic Wireless is an MVNO that operates on both the Sprint and T-Mobile networks, but not on both simultaneously. In fact when you subscribe to Republic Wireless, you’ll have service almost exclusively on one network or the other. Republic Wireless does support domestic roaming, but for voice only. 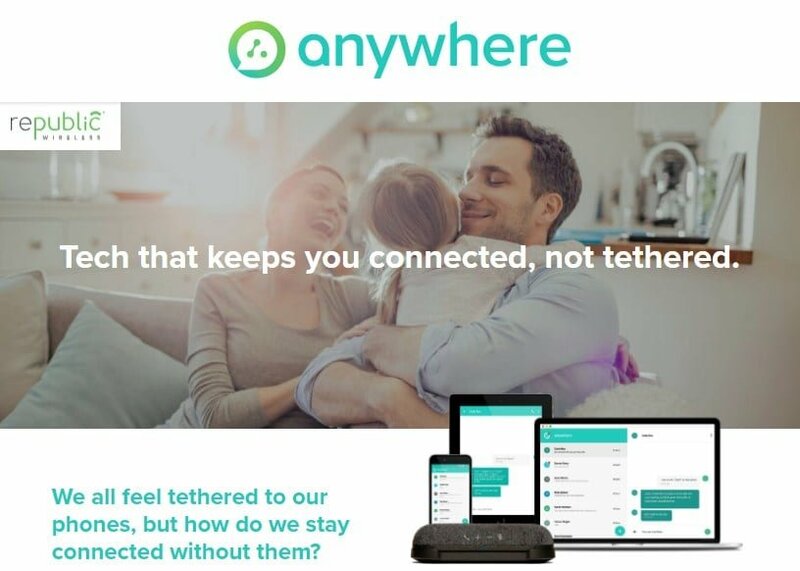 Which network will be the main network that you have service on will depend on your location and may automatically be chosen for you at signup. 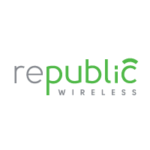 Besides operating as an MVNO on the Sprint and T-Mobile networks, Republic Wireless also operates over WiFi. In fact, the MVNO is a WiFi first based provider. Calls are automatically routed over WiFi when WiFi is available. When the WiFi signal is weak or unavailable, Republic Wireless uses what it calls adaptive coverage with bonded calling to provide service. The technology is used to blend both WiFi and cellular data networks together to provide subscribers with the best voice quality possible. Text messages can also be sent over WiFi. You can use your Republic Wireless service to place calls and texts from your PC, MAC or tablet by downloading the appropriate Republic Anywhere app for your device. If you subscribe to Republic Wireless and find that their coverage is not living up to your expectation, they offer 14 day money back guarantee. Plans and SIM cards can be purchased directly from Republic Wireless. Taxes and fees are not included in the price of Republic Wireless’s plans. Republic Wireless sells several different phone models covering a variety of price points. However, selection is limited to Android devices. Republic Wireless does not sell, support or work with Apple iPhones. Most Motorola devices are sold through the Republic Wireless phone store. Selections such as the Moto E4, Moto G6, and Moto Z3 play are available. The previous versions of most if not all of those phones were also sold in the past. Samsung Galaxy devices are also sold. Devices from Alcatel have also been available. All phones are sold unlocked. Republic Wireless does support bring your own device. For the most part, only phones that are currently sold by Republic Wireless or have been sold by them in the past are eligible for BYOD. Some exceptions include Google phones such as the Pixel devices. You can see a full list of supported BYOD phones here. Customer support is available by chat, online forums and email. It’s also available by direct messaging other customers who are classified as expert members. Chat is available from 9AM to 9PM EST. To port out of Republic Wireless you need to have both your account number and PIN number. Your account number is equal to your phone number including the area code. Your PIN can be set in your online account dashboard. Simply click on Account Settings, then PIN. Then if you have never set up your PIN before, you can either set or update your PIN so that you can port out. Republic Wireless sells all of its cell phones unlocked. There is no device unlocking policy to worry about. You can buy a phone from Republic Wireless and take it to another company without first being tied to the network for an extended period of time.